When I moved to downtown Portland 20 years ago, the east side seemed like a vast ocean that I knew little about, save for a few trips to the Baghdad Theater or, as a kid or teen growing up in McMinnville, to Lloyd Center or Memorial Coliseum. But eventually the Southeast, North and Northeast districts became in their way more of the true Portland to me than the central city. While it's the Pearl District and South Waterfront where the most development has happened—transitioning from industrial to mixed-use residential and commercial—it's really in Portland's neighborhoods where one arguably gets the truest sense of the city's soul. Over my 20 years in Portland, it is the burgeoning of neighborhoods and their corresponding commercial high streets that has been as big a story as any. Look to North Mississippi Avenue or Alberta Street, Hawthorne Boulevard or Belmont Street, Williams Avenue or Division Street, and you'll find strips of restaurants and shops wholly different from what was there two decades ago. And surrounding those neighborhood high streets are a sprinkling of great houses: some new contemporary residences, others renovations of historic properties. One can't talk about houses in our historic neighborhoods without discussing gentrification and the rapid eradication of old homes. Both are a very troubling phenomenon because they are causing displacement of our most vulnerable citizens and destruction of our historic fabric. 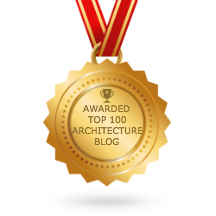 But my focus in this post is going to be the architecture of 14 of the houses I've had the privilege to tour and write about over the last 20 years: the designs that stood out as my favorites. In 2009, a group of architects who had developed their own projects got together to put on what was called the 11xDesign Tour, which I wrote about for Dwell. A handful of my favorite east-side house projects from this tour became my favorites of the past 20 years, led by Waechter Architecture's Z-Haus. This was the first house in what has since become a very impressive career centered around single-family homes, and it's still the most unique. The architect arranged rooms around a central stairway at half-story intervals, allowing people on different floors to make eye contact and converse. It’s such a simple move, and yet it deftly reinvents how a multistory house works. "From any room one can simultaneously view the next level up and the level below, vertically unifying all living spaces," the architect told ArchDaily in 2010. "With one room per level, hallways are obsolete and useable square footage is maximized. Sliding wall panels are used instead of conventional doors to maintain the free flow of space, provide privacy when needed and allow for changing family needs and size. This organization creates a zigzagging pattern in section view, hence the name Z-Haus." I suppose the contrarian viewpoint here would be that the alternating half-levels may sound like a cool idea but don't work so well in practice. Even though you can look up or down a few feet to communicate, none of the rooms are actually on the same floor, and it needn't have been that way. Maybe the unique plan is most successful as an idea, providing a design that seems fresh. But as we would learn in the years after the completion of Z-Haus, Waechter's true talent is not uncommon configurations of space but how interiors and exteriors are constructed with a breathtakingly elegant economy. More on that in a bit. Another memorable North Portland house I visited, this time for Oregon Home magazine in 2010, was the Interchange residence by William Kaven Architecture. Kaven had also been part of the 11xDesign Tour, with the three-unit North House on Williams Avenue. But this house, in the Overlook neighborhood west of Interstate Avenue, was even more impressive. The U-shaped residence has a simple floor plan that wraps around a courtyard on three sides in the back of the house. Floor-to-ceiling glass give the living room, kitchen, study and master bedroom a bounty of natural light, while large sliding glass doors also help break down barriers between inside and outside. The understated interiors also make a nice backdrop for the client's extensive collection of art and artifacts from around the world. I'm also a fan of architect Scott Pitek's Rahman residence in North Portland, which William Lamb wrote about for Dwell in 2014 and which was also part of the Portland Modern Home Tour earlier this year. This is an excellent example of compatible yet contemporary urban infill. The owner, Betty Rahman, maintained an existing circa-1919 bungalow with a large yard on a corner lot, but on the corner built a new house to occupy. "Pitek says Rahman told him she wanted a modern house, but one that would fit in unobtrusively among the structures that define her neighborhood, most of which appear to have been built between the 1890s and the 1930s," Lamb wrote. Indeed, the architecture echoes the vocabulary of older homes nearby, particularly with its pitched roof. And yet there is a crispness and simple elegance to the design that makes it identifiably of today. The Skidmore Passivhaus by Jeff Stern's In Situ Architecture was another favorite when I wrote about it for this blog in 2014. It demonstrates exemplary energy efficiency with its robust insulation and high-performance as well as an interesting fusion of spaces. Stern created two separate architectural boxes, a single-story one that serves as studios for the architect and his wife, artist Karen Thurman, and then a two-story, one-bedroom main house. The two adjacent boxes are free-standing from one another yet connected with a translucent awning and a continuation of the back yard's elegant mahogany-decking facade material. Not all my favorite houses to write about were new construction. I still think sometimes when I'm biking through Irvington about the Stuart House, which I covered in a 2009 article for Renovation Style magazine. The home, constructed in 1913, is said to originally have been built for a member of Scottish royalty who moved to Portland. The interior is thoroughly ensconced in wood, most notably the Greco-Roman columns marking the entryway, but also the array of bannisters, mantels and moldings. "It has a wonderful classicism, but you can feel the trees that put it together," the homeowner told me. Also in 2009 was the Stump House near Alberta Street by Brian White of Architecture W, which I wrote about for Dwell magazine. A hybrid of old and new, the house renovated and expanded a single-story 1940s ranch house, adding a second story. Many of the original materials used in the reconstruction. The boxy, contemporary lines of the wood-clad house also provided a stark contrast to the faux-Victorian homes across the street, which were actually built around the same time. Yet the house’s scale and texture integrated well into the broader neighborhood of historic Craftsman bungalows. The design also packs a green punch. A well-sealed building envelope containing insulation made from recycled blue jeans means interior temperatures stay mild year-round. It also has a solar heating system that provides hot water and warms the radiant floor. I've always been interested in projects that involve architects designing for fellow designers, as was the case with the Oakley House by Waechter Architecture, which I wrote about in 2016 for Dwell. The house is owned by Nick Oakley, who at the time was an industrial designer for Intel and previously had worked with the acclaimed Bay Area firm Ideo. "Ben’s work has a humility about it: a sense of purity and functionality, and a simple architectural gesture that made it stick in my head," Oakley said of Waechter Architecture founder Ben Waechter. Like the Bogli residence by Architecture W, the Oakley House is a transformation of an existing home. At 1,200 square feet, he found the original house to be too small for himself and his 11-year-old daughter. Waechter’s plan used the structure’s existing 28-by-28-foot foundation and some of its walls, while the design opened up the ground floor and added 800 square feet in the form of a second story that cantilevers over both the front and rear elevations. When I talk with non-architect friends about the house, it's this windowless (to the street) second floor that is often the most divisive. We expect there to be glass on street-facing facades, so it's rather jarring to see such a large windowless space. Yet because the ground floor is entirely glass, I think it works. What's more, the house shows Waechter's talent for mining elegance from simple materials. For example, the architect wrapped the upper floor of Oakley’s house in inexpensive black corrugated steel. By rounding the corners, Waechter avoided unsightly trim at the edges. Inside, the ground floor's combined living-dining-kitchen is festooned with maple, which creates a uniformity going from simple walls, for instance, to hidden closets. "We wanted some natural materiality in the house," Waechter explained. "But, for budgetary reasons, we couldn’t do it everywhere." So he deployed the maple in the main living space and used less-expensive drywall elsewhere. He adds, "The material palette creates a hierarchy of spaces." Another favorite was the home at 2408 NE 28th Avenue, designed by Walker Templeton with Jon DeLeonardo and completed in 2013. Although it's not officially designed to Passive House standards, it is intended to be a 100-year home, with insulation and windows that go far beyond what code requires. As with Pitek's Rahman Residence, I liked how this contemporary home borrowed just a little bit from the geometry and pitched-roof forms of traditional nearby houses in its design. But I also enjoyed the materiality of the interior, particularly the use of reclaimed Douglas fir, which was used for most all of the floor, stair treads, shelving and other trim. All of it came from an 80-year-old warehouse. "The beams are all 20 feet long," Templeton said, pointing to the floor, as we talked for a Portland Architecture post, "so there’s no seams." But he's just as proud of things like interior closet shelving. "I hate walking through million-dollar homes and seeing particle board shelving. All this will be slabs of wood. Everything in this house is made to last for 100 years." As I mentioned in the context of Architecture W's Stump House, I've always enjoyed designs that fuse new and old. But the Fivesquare house by Lever Architecture, which I wrote about for The New York Times in 2015, is an even bolder example. The owners bought the 1910 foursquare-style house in the Richmond neighborhood near Division Street with the intent to do what they called a "light remodel," most likely by extending the rear of the house. Instead, they expanded above. And unlike most construction in the city’s historic neighborhoods, which apes traditional styles in an effort to blend in, this house doesn’t try to hide its addition. The cube that Thomas Robinson and Lever designed to expand the unused attic space perches on top of the house, at a 45-degree angle, like a modern treehouse, offering panoramic views of the neighborhood. One of my favorite house projects to write about was a renovation of what had originally been a small branch library in Sellwood dating to 1915, although it had been built in a Craftsman style that blended in with the neighborhood. The Library House, as it's known, had also been used as an evangelical church after it was a library. By the time I wrote about it for a 2013 New York Times article, the building had already been converted to a house. But this renovation, by Jessica Helgerson Interior Design, really brought it alive. The 1,500-square-foot structure was basically one large volume with no kitchen or bedrooms — although there was a bathroom and a basement with a dirt floor. The main space is now a great room with built-in shelving and library-style rolling ladders. They also extended the western facade, adding two small bedrooms, and expanded the basement to accommodate a recording studio (the clients were voice-over artists). But when you write for home magazines and newspaper home sections, it's a story of the interior materials furniture as much as the architecture. Here the holes in the Douglas fir floors made by the church for microphone stands were patched, and the floors refinished. A large dining table was built with reclaimed wood from a pipe organ. Helgerson also balance the home’s boxy form with curvy, modern pieces like the Fireorb wood-burning fireplace suspended from the living-room ceiling and a Tom Dixon chandelier in the dining area. PATH Architecture's Butler residence from 2009 is another favorite. The design was led by Corey Martin, now with Hacker Architects, and during this period the firm produced a number of good-looking houses. Here the cedar-clad second and third floors seem to cantilever slightly over the mostly-glass ground floor, giving the form a sense of lightness as well as providing covered entry and patio areas. Inside, a fireplace (which doubles as a column) extends all the way up the space while the public areas are largely double-height, which, along with the back patio door that folds away, blur the borders between inside and out. The Wilson Residence, which architect Webster Wilson designed for himself and his family and which I wrote about for Sunset in 2010, also has stuck with me. The house, which was also included in 2009’s 11 x Design homes tour, is four levels, the bottom level reserved for an additional apartment that Wilson’s family rents out. One enters at the second level into the kitchen and dining area. At 2,600 square feet, it is tall, thin, and full of light. I particularly liked the house’s two-story vertical window wall for capturing the view, as well as the design’s floating wood loft and stair. Also a big part of the exterior look of the project, at least on its back side with the east-looking view, is a wood and metal stairway attached to the building and giving it extra structural support. The smallest of the single-family homes I will cover here is the Harpoon house by Design For Occupancy, architect Matt Kirkpatrick's firm. Kirkpatrick lives in this 700-square-foot home, which Amara Holstein wrote about for Dwell in 2011, with wife Katherine Bovee. Despite its diminutive square footage, they managed to squeeze in not only a living/dining/kitchen area and a bedroom but a basement, a root cellar, an outdoor deck, and a vegetable and herb garden. It's a far cry from the average modern American house, which was 2,349 square feet in 2004, although the Harpoon House is not too dissimilar in size to the average in 1950 for a single-family house: 983 square feet. Tall and thin like a small wood-ensconced tower at 16 feet long, 28 feet wide and 28 feet tall, the Harpoon House was built on a 50-by-50-foot lot that previously was the side yard of the house next door. It's a series of stacked spaces; one walks up a half-flight of stairs to the combined living-dining area with windows wrapping around a wall of built-in shelving. Upstairs just one doorless bedroom space in which the double bed sits at eye level above an open closet. Half of the upstairs was reserved for an outdoor deck, which is partially enclosed by lattice-like wood that drapes its perimeter and completes the rectangular shape of the tower. Recalling minimalist sculptor Donald Judd, the rigidry of the open-box geometry guides the eye not just to its outer shape, but the volumes inside. One of my favorites of the lot is the very smallest I'm including on this list, although the third by architect Ben Waechter and his Waechter Architecture: the Garden House, which Zahid Sardar covered in The New York Times. "The cottage’s silhouette looks crisply modern: an upward-pointing arrow in a garden setting," Sardar wrote. "The arrow shaft has open-plan living spaces; horizontal windows are the only breaks on its south side; and wide floor-to-ceiling doors and windows open to outdoor living space on the east and west sides." The arrow is a compelling form, but it's really about practicality: using more square footage than your small footprint allows. Which is perfect for an ADU. What do these homes have in common, or at least the new ones? When I scroll through the images above, I see verticality: stacked boxes, be they a new floor growing out of an old home or simply, like Harpoon House, going up when you have little room to grow outward. In some cases, I see nods to traditional style, but mostly it's a series of flat roofs, which used to be uncommon and considered a bad idea because of our rainy climate. I guess roofers are better than they used to be at preventing leaks. In many cases I also see a certain asymmetry, either as an intentional departure from the balancing that goes on in traditional, classically-inspired home styles, or because many architects seemed to turn to the idea of one long, tall window in certain spots instead of something wider - like a vertical cell phone video's proportions instead of a letterboxed cinema screen. And of course we are more likely to go with a natural stain with our wood facades then perhaps we were in previous generations. Today we are seeing more old homes than ever being demolished, usually in the name of much larger square footage. But we are also seeing a new generation of accessory dwelling units and tiny homes in people's backyards and even clustered together sometimes. Although most people who are familiar with my writing associate me with this blog, I actually have made about 85 percent of my living over the past 16-plus years writing for other clients, mostly magazines. And while civic and commercial architecture often interest me the most, there are more home magazines than any other type of design publication, so over the past several years I've been given the opportunity to write about a lot of houses. As part of this 20-years-in-Portland series, I'd like to look back at some of the single-family houses that I liked best. It's not to say there weren't some great condo and apartment projects. Some of my favorite articles for the likes of Dwell and other design-magazine clients have been multifamily housing projects: buildings by Holst Architecture, Works Progress Architecture, Hacker, Lever Architecture and others. Even so, single-family houses are interesting in their own right, because almost all of us grew up living in one, and they represent an opportunity for architects to oversee a project in its totality more than other larger-scale architecture. At first I was going to make this a post comprising all my favorite houses from across the city, but it's a list of 11 or 12 just in the West Hills alone (and some 2,000 words), so I'm going to break it down to two posts: the West Hills (in this post) and everywhere else (in a post to follow). One of the first houses I think of is a collaboration across the decades between the two top architects of their respective generations: the renovation of a Pietro Belluschi house by Brad Cloepfil and Allied Works. The owners, John and Janet Jay, were no strangers to Cloepfil before the project began: John, who was then the executive creative director for Wieden + Kennedy, had been part of the leadership team that hired Cloepfil for that seminal project. Allied Works and Cloepfil also designed a house from the ground up, known as the Portland Heights Residence, that is also one of my favorites, although I never formally wrote about it. Clad in cedar, the main house is comprised of a series of interconnected pavilions that are joined by concrete hearths and small courtyards, which in turn bring lots of natural light deep into the interior of the space. It's also worth mentioning that both this Allied Works house and the Allied/Belluschi house were overseen by Don Tankersley Construction, easily the city's top builder of houses: a contractor that transcends general contracting with artful precision. Speaking of Pietro Belluschi, although there are many excellent residential works by this legendary architect scattered throughout the Portland metro area and beyond, two specific houses come to mind for me: the Burkes house and the Sutor house. The Burkes house, completed in 1947, is now actually known as the Belluschi house, as Belluschi and his wife lived there before they passed away and now the home is owned and occupied by Pietro's son, Anthony Belluschi, and his wife Marti. Anthony, also an accomplished architect who spent the majority of his career in Chicago, oversaw the restoration of the home a couple years ago, and now it's in as good a shape as it ever has been. The date of the original construction is significant, too: it's more or less the same year Belluschi saw completion of perhaps his most significant work of architecture: the Equitable Building in 1947, the world's first curtain-walled office building. The Sutor House, also by Pietro, was completed 11 years earlier, in 1938, and is a kind of companion piece to the better-known Watzek House by John Yeon, completed in 1938. Both architects had worked under the great A.E. Doyle, and had been greatly inspired by Doyle's modest Wentz cottage on the Oregon coast, and the way it seemed to combine local vernacular traditions like barns and farmhouses with a modern sense of streamlining. The Sutor House actually looks a fair amount like the Watzek, but that's not a matter of copying so much as a story of Belluschi and Yeon both being inspired in a similar way, not only by fusing modern and traditional, but also incorporating the influence of Japanese architecture. The Sutor may resemble a Buddhist temple even more than the Watzek. And in the Sutor's case, it has a wonderful Japanese garden that's part of it's landscape; it was buried for decades before the current owner began digging it up. The Burkes/Belluschi and Sutor House projects I visited because they were being newly renovated, and that is the case with most all of the older houses I'm covering in this post. But if I'm looking back on great houses I've visited and found meaningful over the past 20 years, I can't refrain from including the Watzek House. For many years I was fairly ignorant about the Watzek. Although bequeathed to the University of Oregon several years ago, it was privately occupied until fairly recently. But I've been able to visit the Watzek several times in the last few years, and I always marvel at what a masterpiece it is. The house doesn't necessarily seem so exquisite as one first approaches, because all you see is the garage and a wall of the courtyard. But as soon as you cross that first threshold into the landscaped courtyard, a spell begins to be cast. Once you move inside, it's immediately apparent what a collector and a lover of beauty John Yeon was, for the interior feels not strictly modern but a hybrid of traditional and modern. When I'm in the Watzek's living room I often think of that scene at the end of 2001: A Space Odyssey when Kier Dullea's character is being held in a kind of gilded cage, with ultra-modern glowing glass floors but ornate pre-modern furniture as the bedroom set. The Watzek is a wonderful fusion: of not only eras but styles. And like all great design, it is decidedly greater than the sum of its parts. What's also great about the Northwest Modern regional style that Yeon and Belluschi (and Doyle) started is that it inspired lots of other architects to similarly embrace this idea of wood-framed modern houses with pitched roofs and large overhangs: people like Saul Zaik, John Storrs, Van Evera Bailey, and William Fletcher. Two midcentury houses from this period come to mind: Zaik's Feldman house and Bailey's Shaw House. While writing about the Feldman's renovation by Jessica Helgerson Interior Design in 2015 for Dwell, I was able to see a house that had been negatively impacted by a past renovation or two finally realize its potential again. "We wanted to put back the part of Saul’s design that had been remodeled out of the house," recalled homeowner Ty Milford. "We didn’t want to go back exactly to the original kitchen and bathrooms," he says, but he notes that subsequent renovations had been on a budget—and it showed. "We wanted a cohesive house where at no point did something jump out as not fitting." The Shaw house, which I visited in 2015 as part of a Restore Oregon tour, was magnificent for its butterfly roof, which, like the roof line of the Watzek, almost seemed to mimic the pitch of Mt. Hood in the distance. It strikes me that every house I've written about so far is located in Portland's West Hills. So what do I want to mention next? Two more of them! Whether it's for the easy access to the hiking trails of Forest Park or the view of Mt. Hood and the downtown skyline, a large proportion of the city's best houses have been built in this hilly topography. One of the first stories I ever wrote for Dwell, back in 2009, was a house I hadn't know about until the magazine came to me with the assignment. Designed in 1972 by local architect Edgar Waehrer and just a few yards from the border with Forest Park, the house is a later example of Northwest modernism, on the smallish side at 1,200 square feet, but it feels spacious thanks to 16-foot ceilings and an abundance of windows that not only frame the picturesque view but also foster an openness that began with the architect’s decision to eliminate all doors (except for the bathroom). I also have always been a fan of the Richard Campbell House from 1966. Campbell, one of the co-founders of the firm now known as YGH Architecture, won awards from both the American Institute of Architects and Sunset magazine for his design. At this point I'm ready to move on from talking about midcentury houses but still have two house left in the West Hills to talk about. The Johnson residence was completed in 2015 from a design by English architect Sir Nicholas Grimshaw, who is best known for public buildings but who knew and was approached by the local client, Gary Johnson, who had years ago worked with the architect on some furniture for Herman Miller. Grimshaw admitted to me in a phone interview that he never even visited the site. But neither did Frank Lloyd Wright visit the Gordon House in Charbonneau, and it's still a lovely work of architecture too. The Johnson house that Grimshaw designed is quite something: it's shaped like a Christmas Tree, with a wide-open great room in back with floor-to-ceiling glass and a thin little entrance at the front. A central hallway leads you straight from the entrance to the great room, with small bedrooms on either side, all tied together with porthole windows and some 2,000 steel bolts. The Music Box Residence by Scott/Edwards Architecture, just off Skyline Boulevard, was a treat to write about. It's owned and was designed for two musicians named — and I'm not making this up — Jon and Yoko. The couple love to entertain, especially fundraisers, so the house has this duality: a U-shaped structure that stacks music studios and bedrooms on the sides of the house and a multi-story living room in between. “It’s two boxes with a lot of glass connecting them,” firm principal Rick Berry explained to me for a Gray magazine article (which naturally I titled "Double Fantasy".) “You’ve got kids, a family, different types of music going on. There’s so much that has to go on in the space, and so there’s a lot of flexibility.” I also liked the long bridge, with a bamboo forest below, leading from the sidewalk to the main entry, as well as the clad in black stained siding to resemble shosugi ban, or charred wood, common to Japanese architecture. Really great houses are often very simple, and reflective of basic biophilic human inclinations. We seek in our residences a combination of wide-open volumes and cozier, smaller spaces. Maybe that's why the Music Box worked so well for me: because that duality was so clear. Really we all want what Jon and Yoko have: places to go big, and places to find refuge. On Saturday, August 27, Portland's already-packed roster of home tours will see a sizable new entrant. The Dwell Home Tours series, which has proven popular in a variety of cities, touches down in Portland with an impressive quintet of residences. If you've never been inside Allied Works' magnificent 2281 NW Glisan building, for example, it's more than worth a look. So too is the Fivesquare residence by Lever Architecture, which I wrote about for The New York Times last year. There are also intriguing projects from Olson Group Architects as well as Lisa McClellan and Hunter Williams. The fifth house on the tour is one I visited a few weeks ago and quite liked: the Phoenix Passive House, designed and built by Scott Kosmecki and his Hinge Build Group. As its name suggests, the house, which was built on spec and recently sold, is designed and constructed to meet the rigid energy-efficiency standards of the Passive House Institute US. For example, behind its exterior walls of Douglas fir reclaimed from the original house on the site siding is a robust double-stud wall construction. The triple-paned windows were framed with Oregon-grown FSC certified wood. I also enjoyed the rich array of salvaged wood on the inside, from white oak to more of the house's Doug fir. Reclaimed wood is used to clad a lower-ceilinged foyer, for example, which gives way to a higher-ceilinged living room and kitchen, as well as a wall of the kitchen itself. The house is full of light but not glare. Dating back to the Northwest midcentury-modern houses of acclaimed architects like Pietro Belluschi, John Yeon, Saul Zaik and Van Evera Bailey, residential design has made ample use of large overhangs, which allow in lots of diffused light while strategically blocking out the direct sunlight that can overheat a home. Kosmecki's design goes one further than the usual overhangs coming off the roof to connect them at the front entrance to two walls of wood that extend past the front facade. It's aesthetically striking, especially as the natural wood contrasts with the white siding. Upstairs there is another clever design trick: a skylight shines light into two rooms at once thanks to a second interior skylight carved into a diagonal portion of the wall. Although the Dwell tour includes residences by some of the city's most highly-acclaimed architects, Kosmecki has had a roundabout and more low-profile path to designing this house, although the results speak for themselves. For nearly a decade in the 1990s, Kosmecki owned The Graphic Station, a graphic design business that eventually expanded into signage, the latter of which, to deal with installation, prompted him to get his general contractor's license, which in turn led to regular tenant improvement and construction jobs. "I really loved construction and architectural design far better than the graphic design and signage work I was doing at the time," he explains. So from 2000-2008, he ran his new business, Kosmecki Construction. But he also saw an opportunity with design. "We realized there was a need for better architectural design at the residential level," he says, noting that less than 10 percent of the single-family homes in America are designed by architects. We’d be redoing drawings we were given." Kosmecki then took his business east, attending the University of North Carolina for a bachelor's degree in sculpture with a minor in urban design and planning. His travels continued, as he worked for a year to build an orphanage in Tanzania. "That was super fun," he says. "It was through the Open Architecture Network program started by Architecture for Humanity. I was looking in that region because my wife was starting a global health program though her residency program via Duke university. We got lucky to find a project in the same area for us both." He then returned to Oregon with his wife and enrolled at the University of Oregon to get a master's degree in architecture. But when he graduated, in 2012, "no one was hiring," Kosmecki remembers. Relocated to Portland, he spent the second half of the year making models for two firms, Architectural Prototypes and Hacker. Eventually, Kosmecki found work at Aaron Faegre & Associates, but by this time he had developed an interest in passive house construction and become certified by the Passive House Institute US, prompting him to start Hinge Build Group, which could design and build passive houses for the Portland market. "There’s certainly a lot more projects happening and getting certified," he says. "I think they’re doubling every year. But I’m still surprised people don’t know about it. We had a lot of realtors come through that hadn’t heard of it before." When an existing home in Northeast Portland became available, Kosmecki saw the opportunity to transform it. They decided to retain the foundation and carefully deconstruct most of the house so its materials could be re-used. "This house had been remodeled many times since it was first built," the designer-builder wrote in a blog post chronicling the construction. "Most of those times, not very well." But the raw materials, such as the Doug fir, were ideal. As I write this post, today's forecast is for 100-degree temperatures. Kosmecki says the Phoenix Passive House has enough robust insulation, sealants and high-performance windows to keep the house cool inside, particularly if the exterior sun shades are engaged. But the house does include a mini-split heat pump with a heat recovery ventilator that provides heating and cooling. "We definitely knew if any place would be receptive, Portland would be," Kosmecki says of the decision to build a passive house. "Rob Hawthorne [of PDX Living] had been doing this kind of energy-efficient home building for a few years so there was a market for it. I think it’s just the most ethical way to build in the 21st century. Without it, it doesn’t seem fitting for our times." Kosmecki insists his passion for passive-house construction and the relative dearth of these houses coming to market drove him more than the chance to make a big profit. That said, he is happy with what the Phoenix Passive House sold for. "We got a sizable bump from the home being a Certified Passive House, more than if it was just built to typical code levels," he says. "It more than covered the cost difference and made for a far better building, which is really what we are always striving for." Last month, The Oregonian's Janet Eastman reported on Oregon's only Alcoa Care-free Home, one of 24 houses built around the United States in the 1950s (this one completed in 1957) by what was then called the Aluminum Company of America to showcase how the material could be used in all kinds of residential applications from structural framing down to the nails. Like the much better-known Case Study Houses that were completed beginning in 1948, which were sponsored Arts & Architecture magazine and US Steel, or even Eichler and Rummer homes built by the hundreds in California and Oregon over the ensuing decades, these Alcoa houses epitomize some of the leading-edge thinking of the day about how to create open, column-free interior space as well as to combine indoor and outdoor living. As Eastman's story noted, legendary Portland architect Pietro Belluschi, himself a master of single-family houses, consulted the company on its homes, which were ultimately designed by Washington, DC architect Charles Goodman (who also designed the city's original National Airport). Besides Belluschi being a leader in post-World War II residential design, he had also embraced the possibilities of aluminum, particularly with 1947's Equitable Building, the first in the world with an aluminum curtain wall. When I was offered the chance to visit Portland's Alcoa Care-free Home last week (along with architectural tour-guide and historian Eric Wheeler), it was a no-brainer to make the trek to Raleigh Hills. Approaching the house, the first thing one notices is its purple ribbed aluminum siding, as well as the decorative woven aluminum grilles covering its floor-to-ceiling plate glass. Although its form is not unlike that of a ranch or midcentury modern house, the color and ornament almost made the house feel postmodern, even though it came from the heyday of Chuck Berry rather than that of Michael Jackson. Indeed, the house's signature material is everywhere, from window and screen-door frames to skylights to shower enclosures. Yet when I was walking around the home, aluminum wasn't always what I was thinking about. Vaulted cypress ceilings give the home a distinctively Northwest feel. And as with some of those better-known examples of unique midcentury-modern residential design from Eichler or Richard Neutra (of Case Study fame) or Belluschi, it was all about openness, flexibility and the opportunity to bring natural light deep into the interior. In that regard, one modification to the house made a lot of sense. Goodman's original design was essentially U-shaped, but the right side of the U was devoted to a carport and a workshop. One of the home's owners converted the workshop into an additional bedroom and converted the courtyard, which was already fully covered by the roof (with large skylights), into an indoor-outdoor space by enclosing it with a glass wall and sliding-glass door. The flooring here is still the original outdoor tile, and there is no furniture; just a hot tub. But I enjoyed this creation of a truly hybrid indoor-outdoor architectural space. The combination of the newly created bedroom from the workshop and making the courtyard capable of being fully interior also took the square footage from 1900 to over 2800. Ultimately Alcoa's Care-free home series cost more than the company expected, particularly as aluminum rose from its low prices in the initial years after the war, and thus these homes were not sufficiently competitive with wood-framed houses to continue being built beyond the 1950s. Yet it's worth noting that with next year bringing the Portland Care-free home's 70th birthday, it seems to be in excellent shape physically. Some of the aluminum detailing looks thick and clunky by today's standards, but there's no reason one couldn't change some of that and still retain what's great about the house. And besides, overall the Alcoa Care-free home it feels as relevant to contemporary living as ever because it's so open. There were moments on our visit when I could look through two or three rooms at once, though the glass. And there just didn't seem to be any portion of the square footage that didn't receive a lot of light. Recently in The New York Times, I had the opportunity to write about a unique approach to expanding an old house. David and Sarah Altman almost did what many other new homeowners in Portland have done: tear down an old house on a large lot in order to build something new and modern. They even hired one of Portland's best firms, Lever Architecture, to come up with a design. But budget concerns got in the way, and so they instead bought a classic early 20th Century house, an American foursquare, dating to 1910. The intent was to do a "light remodel," as they put it, and sell at a profit in order to build the new house; they'd even kept the other lot and small house, renting it out. But as the couple explored with Lever how best to expand the foursquare (as they sought a family room-like space), the firm offered a bold kind of addition that would blend their desire for modern architecture and their burgeoning love of this old house: a modern cube that would be built in the old attic space and essentially become a new third floor. Instead of trying to blend in with the existing early 20th Century style of the foursquare, the new addition would be juxtaposed against it. The house will be part of this Saturday's 2015 Homes Tour, put on by the Portland chapter of the American Institute of Architects. As is often the case, in writing a relatively short feature (about 650 words) one accrues lots of interview text that can't be used in the story. So I thought I would pass on the comments of Thomas Robinson and the Altmans here. When we began the interview, I asked Robinson about the challenge of doing a single-family house. After all, Lever is best known for a series of mixed-use and commercial spaces at larger scales, such as the ArtHouse residence hall for the Pacific Northwest College of Art and the Union Way shopping complex in recent years, as well as upcoming office buildings in the Zidell Yards and the Pearl District. But Robinson said that as he began his career, houses were what he was most interested in. "I’d done a lot of work on houses for Joseph Esherick when I worked in the Bay Area," he recalled. "Actually when I was there, I started on big aquariums, and I worked my way down because I really wanted to work with Joe Esherick. All he did at that time—he was in his 80s— was houses." And since founding Lever a few years ago, Robinson added talent with the form, including Scott Miller, who came from Allied Works and had worked on a lot of Brad Cloepfil's acclaimed residential designs. Although the cube makes a bold and unexpected addition to the Altman residence, Lever's intent was to honor the integrity of the original foursquare: not to gut the interior into wide-open great rooms but to retain its sense of partition. "I think the foursquare, it’s a really iconic building type within Portland," Robinson said. "If you say, ‘I live in a foursquare,’ in Portland everyone knows exactly what you live in, and they have, I think, an image of what it is. It’s probably Portland’s most prevalent single-family housing type, within the city proper. The thing that’s not so great about them is they just divide the space in a way where there’s no hierarchy and there’s no sense of generosity in any of the rooms on any of the floors. There are a lot of examples where people have taken a traditional house like a foursquare and then they’ve added so much onto the back of it or altered it in such a way where you lose what it is." Even so, he added, "You can’t just fight that. Because otherwise you just have to rip down the whole house and rebuild it. How do you leverage the fact that that’s what it is and try to open it up? We actually thickened the division but then punched holes through it." Standing in the combined kitchen and dining area, for example, they were still separated by a wall, but the doorway had been expanded so widely that the division almost disappeared. Yet inside these room divisions, Lever thickened the partitions to allow added storage. Approaching the question of the upstairs expansion, David Altman explained: "We started talking about the attic space. It was just a normal foursquare attic. It wasn’t really used. And we said, ‘Well, we should really try to use the attic space,’ both from a program basis and from a value basis to add some square footage. We could just throw a dormer out the back." And indeed, Lever produced several design options including just expanding out the back. But the clients were curious about what else Lever could do there. "We came in one day and said, ‘Well, you know how much we’d obviously love for you guys to do modern stuff. Come up with something cool,’" Altman recalled. "And that’s how we got to here." "We said, ‘Let’s put this studio, glass box that really just sits on the top,’ because it has great views of the neighborhood," Robinson said. "We were playing around with it, guys in my office, and we said, ‘Okay, what if we just moved it in a way just to play with the idea of this other box or this other square coming out of the foursquare. And when we came up with this idea we all liked it, but internally I’m thinking, ‘Oh my god.'" He worried about the response. "I remember coming in and saying, ‘Here’s the two options.’ And they said, ‘We really like that one.’ And I said, ‘Are you sure? Because we like it too. But you’ve really got to own this one. Because you’re going to get some blow-back.’ And they were like, ‘Okay, we’re going to go for it.’ And that was the thing." "And then I remember playing with the design a little bit," Robinson added. "We were looking at where to put the stair and trying to figure that out. What I realized we could actually do was by actually twisting the box it allowed us to transform the experience of the upstairs of the foursquare, in a way that this wall and this punch transforms the downstairs. What I think is most interesting about what it does is it actually opens up the second floor in a way that you will never experience in any other foursquare. And by putting the stair where we put it, we actually could create just a very unique spatial experience, which I think for us is probably the most important thing, and then bring daylight into a part of a foursquare that never gets daylight, and then also tuck that into where the closet is. It made sense from a design point of view on the second floor." "We changed our priority when we saw what this really could be," David Altman said. "We kind of were like, ‘This could be our house. We don’t need to do anything else if we don’t want.’ This was going to be our dream house." "I was probably more worried than you guys were," Robinson said to the Altmans during our interview. "I said, ‘Are you sure you want to do this?’ I was really pushing back, because I was really worried about it. And now I’m not worried about it at all. Because I see really crappy speculative modern houses selling for a million that are not near as nice as this." Though the third-floor cube certainly stands out, especially in back, it's also nestled into the roofline of the foursquare in an interesting way. That's especially noticeable standing inside the cube, where its tall windows are shaped almost like a mountain range on the bottom, because they are "completely defined by the existing geometry of the roof," Robinson explained. Robinson also talked about how his experience living and working in Europe in past years, for the internationally renowned firm Herzog & DeMeuron, shaped his thinking. "I think having a romantic vision of these beautiful old European houses and great design when I was there, but then also having the experience of having these Swiss architects come with me to LA, for a project, and driving down this strip-mall street with all these palm trees and hearing them go, ‘Wow, this is so cool!’ It was refreshing to see them excited about all this ticky-tacky architecture. Coming back to the US it gives you a new appreciation for the kind of plain, simple fabric of a city like Portland. You could actually take that and leverage that and make it interesting and take care of it but also play against it. I think we’re always interested in that interplay of old and new, and not saying, ‘It’s all old here, and it’s all new here.’ You don’t have to compartmentalize. You can mix it up a little bit. But it is actually a lot harder to do that, to be honest with you, and have it feel okay, than actually just going all new. You’re a little bit in the gray zone. You could ask, ‘What windows in here are old and which are new?’ You’re playing a little bit of a game. You’re saying, 'That’s part of the old even though we’re moving it. And this is the new even though the old is inside of it.' But I think the driving thing for us is what is the overall experience and feel of each space, and then the details and decisions come out of that decision." The Altmans have received mostly positive responses from the neighbors. "People thought we were building a real third story that was going to tower over everything," David Altman said. "There were questions, and people had their own opinions. Some are going to like it and some aren’t. But it’s so well done, and it’s pretty subtle from the street." It's a reminder that architecture is about scale as much as it's about style. Regardless of the question of modern and traditional and how they interact, the cube is simply smaller than a regular third-floor addition, and it makes the Fivesquare house, as it's called, still more slender than some of the completely new but faux-historic styled builder homes that are going up all over town. "It feels like one house," David Altman added. "You’re walking through it and it feels like one house. There’s juxtaposition, obviously, but it doesn’t feel different. It feels like one really beautiful house." "I think about all the teardowns happening the city, and it’s this black or white issue: you either tear it down, or you don’t," Sarah Altman said. "And I don’t think that’s the question. I’m not for tearing everything down, but some could be better or more creative. It’s too bad there’s such a dichotomy: tear down and build something icky, or don’t. But we have all sorts of choices to add more creativity in the world." In a recent issue of Dwell magazine, I had the chance to write about and share the work of one of my favorite Portland architects, Saul Zaik, upon the renovation of one of his greatest designs, the circa-1956 Feldman House in southwest Portland's Garden Home neighborhood. One of the last remaining architects of his generation, which came of age in the years immediately after World War II, Zaik may not have been as well known as some of his immediate predecessors like Pietro Belluschi and John Yeon. But like those architects, his work was an exceptional fusion of building and landscape, of natural light and materials. The Feldman House renovation was overseen by local interior designer Jessica Helgerson and her eponymous firm, who helped clients Ty and Kelly Milford and their family update and reconfigure much of the house without ever losing its spirit. I'd like to share here some of the interview text that didn't make it into the story. "The house had some really really lovely things about it and some really problematic things," Helgerson explained in our interview for the article. "The living room in particular was great. It’s got a glass window with an outside corner of glass and beautiful existing wood beams. And the detailing, especially on the earlier part of the house, was really nice: the way the panels worked over the doors. There was a sort of a set of rules about how the house fit together." The new design brought significant change in some part of the house and used a light touch in others. "The dining and especially the living room were really nice and definitely worth preserving," Helgerson added. "The kitchen had been sort of oddly remodeled and had a sort of raised platform that sort of disconnected it from the rest of the house. There were two front doors, both to the same place. Then the master bedroom was also funny. And the family room was really long, this great big room with a post in the middle of it. It was hard to use. It’s a really really significant remodel. It’s a lot different than it was. But our goal was for it to look as if we hadn’t done a thing, to be authentic to the era of the house. What would Saul do? I felt like we were really respectful of the era of the house. I feel he would approve. We were so careful in the material selection and historic preservation and continuing existing details." I also enjoyed talking with Zaik about the origins of his Feldman House. "Phil [Feldman] was a friend of mine going back," he recalled. "He had this property, and a budget of around $35,000 to do a house. I think they were just married. Mary Ann and Phil were German Jews who somehow escaped in the 30s. They were very bright and successful and moved ahead." The house was a chance for the Feldmans to enjoy a real new beginning, in a landscape that was not unlike Germany but a west-coast American culture that offered opportunity and safety, as well as new ideas about light-filled architecture. "I’ve always been very site oriented with anything I’ve ever done," Zaik explained. "Living here all my life, I value sunlight. I think that house had a lot of glass in it. It was about the second or third house that I worked on. There was a crew of us in Eugene, like Jim Martin, DeNorval Unthank and his partner. We were all just starting to do what we called contemporary houses. We were all World War II veterans and we were out to change the idea of architecture." "We were experimenting with how you integrated indoor and outdoor spaces," Zaik added. "That was a big part of that original design. That whole living room was a mitered glass corner. That was oriented to that private outdoor space. Wood was a very reasonable, inexpensive product for us to use. The availability of clear hemlock and fir and cedar were readily available. And those early houses like the Feldman were hand built. The same crew formed the concrete and poured it, and framed and built the house, built everything. That ceiling system was special. It was P&G clear tongue in groove fir. In those years, we did all the structural work. That was part of our education. We didn’t feel the need for structural engineers." After the Feldman House's completion, Zaik would go on to design a host of residential and commercial architecture, be it the unique Zidell House, suspended in the air from a massive ship's mast, or an expansion of Timberline Lodge. But just as talented contemporaries like Yeon would become known for many architectural and landscape works but still always remembered most for the Watzek House, so too will projects like the Feldman remain a prideful emblem of what Zaik could do. That is, what Zaik can do. Even in his 80s, Zaik still comes to work every day. We can all appreciate that kind of commitment and work ethic, but hopefully Zaik knows that his place in history is already quite secure. In a recent Gray magazine article, I had the chance to talk with the designers and builders of Karuna House by Holst Architecture. Located on a hillside overlooking the Willamette Valley between Newberg and Sherwood, it is the first project in the world to meet three stringent green building rating systems at the same time: LEED (for which it received the highest rating, Platinum), Passive House, and Switzerland's Minergie. Although Karuna House had a pretty large budget, and came with some inevitable headaches given its attempt to negotiate three rating systems at once (as documented in a 2013 Wall Street Journal article), I don't think we should necessarily think of those things when we look at the finished building. I see it as a demonstration project, a work of architecture that can help make possible new ideas and methods that will impact other designers' work in the years ahead. What's more, I appreciate the fact that Holst and their client weren't satisfied with just an efficient home. It had to be beautiful, and it had to be full of light. Portland Architecture: Could you talk a little bit about the initial conversations that led to the design? Jeff Stuhr: The client put a group of people together and we went over to Switzerland to look at Passive Houses and Minergie houses. We saw the gamut from traditional houses to very modern and kind of came back putting everything on the table at that point. What kind of house did he want? How did he want it to feel? Something more rural in nature or a bit more contemporary? The house sits on a hillside amidst a large parcel of land. How did you go about siting it? Stuhr: What’s often sad about that landscape is when the houses look plunked down in terms of how they got sited. They look so foreign to the landscape. We wanted this to step down with the landscape and maintain a strong connection between the living spaces and the outdoors. You could have easily done a split-level with main spaces on the upper floor and bedrooms below. But it resonated here to follow the hill down and let the flow go outside. Really the wheat field comes right up to the house and the terraces. The intent is that it sits in this sea of wheat. How much did the rating systems restrict options for orientation and your use of windows? But as we went through Passive House modeling, we were really tweaking the sizes and shapes of windows. The one theme that came up constantly from Eric was, ‘I want light, and I want it to feel light and bright.’ That started to really drive how we approached the design. On the ground floor it’s like a big open loft: the kitchen, living and dining room spaces are all open to each other. I love the glass pavilion on the roof. How did that come about? Stuhr: Up on the third floor, he wanted to go out on the roof any time of the year and sit up and gaze at the stars. They have these little towers with these covered porches to meditate. That became an underlying thing: you do kind of ascend up the house and then you get to this Zen like glass-enclosed room up on the third floor. It’s kind of a spectacular view at this point. You see a view of Mt. Hood. That’s his stargazing, yoga studio. We called it a lot of things. It’s a glass canopy with glass doors that can retract all the way back. Could you talk a little about negotiating the three systems at once? Stuhr: We wanted to push the boundaries in terms of design, which you don’t see as often with Passive House, especially in the US. That right off the bat was appealing to us: could we break the code, so to speak? When I was in Switzerland, everybody was like, ‘You guys don’t know what you’re getting into. This is like climbing the Matterhorn.’ The cards were really stacked up. They weren’t being smug. They’ve spent 30 years perfecting Minergie. We are so far behind when it comes to that. We just don’t have the market that demands that. So it was a challenge finding the right windows, finding the proper exterior insulation. How did going for LEED figure in? Stuhr: LEED for homes came in late. We said, ‘Why don’t we just get that too?’ Part of the reason for the project was to kind of line them up side by side and see where are the similarities, where are the differences. There are houses with both Passive House and Minergie. I don’t believe anybody in the world has done all three. Not that I would necessarily recommend it. Could you talk a little bit about some of the issues inherent to preventing thermal bridging and making the house air-tight? Stuhr: there was quite a bit of complex modeling done with where the materials had to come together, and what we needed to do to hold this stuff without creating huge thermal bridges between inside and outside. In school we learned bout tectonics and expressing the structure. In Passive House it’s not impossible but you have to be much more deliberate, and much more careful about the envelope and what becomes interior versus exterior structure, almost to the point where they never touch. You’ll see in the living room or bedroom where we might have buried the steel on the outside wall within the window wall. We had to keep it completely inside because steel is such a terrible conductor. It’s stuff like that. How much of a challenge was it negotiating the rating systems at once? Stuhr: We started off with the Minergie certification and that was what we were going for. Passive House had already come to the US and done the necessary work to translate the calculations. Minergie hadn’t. We were thinking Minergie would expand this way as well. We had to design it in metric and run all the calculations. We ended up hiring a Swiss national out of Minneapolis who works for a Zurich firm. All of our Minergie modeling ran through that. It became clear we weren’t going to get there efficiently because the process was too bogged down. Hawbecker: all those standards and rules, none of it was in English. Sometimes every hour I’d be calling him with a new question. Even in your native language it can be confusing. Translating it from German to his broken English to some guy in Newberg who hadn’t seen any of it was pretty challenging. We wound up with a house where no stone was unturned. We looked at every material, every adhesive. It was really good. But in terms of the investment of time it was not the most efficient thing in the world. I do want to say about the certifications that I never identified a direct conflict, but they got there in different ways. Minergie is obviously the system most uncommon in the US. What were its characteristics and challenges? Hagerman: It’s a progressive standard in that it combines the strengths of the USGBC LEED program with some of the strengths of an energy-focused program like Passive House, AND the Living Building Challenge’s Red List. Minergie has a section that talks about the reusability of the materials, and the accessibility of different parts of the house to be removed and recycled or removed and re-used and replaced over time, generations out. It’s the idea that you wouldn’t build non-resilient materials into the structure at all, and if you did they have to be easily replaceable. Then there’s a section that had to do with the materials in terms of their toxicity and usability, and their workability—specifically focused on worker safety, which I had never seen anyone do before. And then there was the piece that the USGBC and others talk about, the toxicity and the embodied energy of the materials in and of themselves as a component of the building energy budget: how much energy they have, how much energy it took to install them, how much it took to maintain them. What do you think Minergie’s chances of gaining traction in the US are? Hagerman: Zero, Just because the Swiss are so spidery about following their protocols. They’re completely non-cooperative, and they will not change to make it more palatable in this marketplace. Particular project questions would take months to get an answer back. ’ If you had a question about it, it’s not like you could go to a manual, or a website, or any base of information. You had to actually call Switzerland and talk to some engineer at the Minergie office. And they would be on vacation. The Europeans take these really long, random vacations. So there were a couple times where we really needed answers, and we couldn’t get an answer for, like, three or four weeks. And yet Passive House is making inroads in the US. Hagerman: Yeah, because we broke from Europe. Any building energy standard that you want to make the law of the land in, say, Chicago, that you have to have approved in Germany, is not going to work. The reverse wouldn’t work either. You’ve got to make it native. Are there things about having gone through the Minergie process that made it a more sustainable house? Hagerman: I think more sustainable, yeah. Make no mistake: Minergie brought stuff to the table that LEED and Passive House did not. Passive House is pretty clear: ‘We’re just a building energy standard. You could build this thing out of nuclear waste. As long as it has a high R-value and it’s airtight, we love it.’ LEED is like, ‘No, we want recycled pop bottle carpeting, and a bike rack out front.’ There’s a sort of chasm in between those two points of view. I realize that’s a radical oversimplification, but Minergie is basically in the middle. There’s a good story in that these standards all complemented each other on Karuna House. They also served to critique on another as they were applied at the same time. And that critique served as a roadmap. We had to make it through a minefield of certifications overlaid on one another. There was just not a clear path. There was not a straight line through that. Do you see these certification systems becoming more prevalent in the years ahead? Hagerman: Certifications are the wave of the future. Buildings are becoming more and more high performance. As they do that they become more airtight and they become more insulated. The mechanical systems change. The glazing changes. All these big components change. So the buildings’ response to the environment changes quite a bit. So the way the buildings are put together with all these new components changes quite a bit. It needs the process not only of certification but of verification. And that’s why we go back to these sorts of certifications that have independent third-party verification as being crucial. The more efficient you make a building, its window of resilient performance shrinks. The drying potential of the wall assemblies and the whole building assembly decreases. The more airtight and the more insulated you make a building, the less natural ventilation you get through leaky building assemblies. So you need to know how the building performs in terms of its resilience, not just its energy consumption. And that’s what you’re trying to do with the air-tightness standard. That’s like the dirty but noble secret behind the air-tightness standard. If you’re building a building that’s airtight you control for air, you control for water. If you control for water you control for all kinds of issues. And that’s what you have to do in a building with low-drying potential. Meanwhile you dial-in a balanced fresh air ventilation system through an HRV for great air quality. It’s about energy but it’s really not about the energy. It’s about building resilience and it's about health. That’s a message that I think needs to get across more clearly. And it’s why the certifications that will ultimately carry the day, hopefully, are going to be the ones that have third-party verification built in. But along the way, a worrisome number of single-family homes have been sacrificed like unwanted ballast on density’s filling cargo ship. In 2013 over 230 demolitions were approved, a whopping 40 percent increase compared to 2011. This year, the city is said to be approving demolition permits at about one per day, which would be close to another 40 percent jump over 2013. As always, the chance to make a profit is motivating much of the deluge, but it's also complicated by our land use laws and the lingering result of the recession. Developers who might have focused on suburban home construction in the past now have more financial motivation to look to the urban city center at the same time there’s less abundance and ease of opportunity to build suburban subdivisions. The housing crash that began in 2008 meant fewer developers were buying land for subdivisions. And with our urban growth boundary, there has been less land freed up for such development. That's a success as it relates to curbing sprawl at the edge of the metro area, but puts more pressure on the central city. Even if a developer could build exponentially more houses in the 'burbs by creating whole subdivisions, individual lots in Portland now represent the chance to make a higher profit per house. If some old, unoccupied house has to be taken down, the thinking goes, then that's just a small step in the course of doing business. Indeed, the developers coming into the city to tear down our old houses aren't necessarily villains so much as simple entrepreneurs guided by economic forces. But they also may underestimate the degree to which a neighborhood will in certain instances band together to fight a house's demolition. In the suburbs, after all, historic homes are an anomaly, let alone whole neighborhoods. Even so, discouragement from neighbors and neighborhoods is largely incongruent with the message they're getting from the city, which, while not explicitly advocating for historic home demolition nevertheless seems to create the right conditions for it by encouraging density. And encouraging density is not at all a wrong choice. It's a path the city has been traveling for decades now, and one generally far preferable to sprawl. Yet the fact that neighborhood groups in places like (to name three recent examples) Willamette Heights, Eastmoreland and Laurelhurst have worked together to try and stop historic-home demolitions says something very encouraging, I think, about the democratic and participatory nature of our local culture. In many cities and towns, the idea of neighbors taking organized action to try and stop demolition of old houses would be viewed as naive or not worth trying. It's not to say there isn't still something dangerous going on, for an incredible amount of demolitions have occurred in the past few years in Portland's close-in neighborhoods. By the same token, no one is saying that all old houses have to be kept. Needs and tastes change, and many old houses may be poorly constructed or aesthetical banal enough that few would miss them. What needs to change in order to prevent more old homes from being demolished? For starters, a little more notice would help, even if it doesn’t actually stop a demolition. Demolitions without notification of neighbors have been on the rise. City code specifies neighbors be notified before a demolition permit is issued, and indicates a permit cannot be issued for 35 days after applying. When that happens, the Bureau of Development Services is required to notify the neighborhood association and the property owner has to put up an orange sign on the structure indicating demolition plans. But there is a major loophole more developers have utilized: property owners applying and paying for a new building permit at the same time as the demolition permit can have the notification requirement waived. In cases where one house is being demolished and replaced with one other house, as was set to happen with one house in Willamette Heights dating to 1892 that was slated for demolition (before its owner, Google executive Kevin Rose, acquiesced to neighborhood pressure to retain the home and sell), city code doesn't require any waiting period between receiving a permit and demolishing a house. Since the demolition uproar began to attract attention this year, the City has taken a new step: as of July 1, The Bureau of Development Services will start hanging flyers on the door handles of homes nearby a demolition, a so-called “courtesy notice” that is supposed to go out 10 days before the wrecking ball is scheduled to swing. Last month, Architectural Heritage Center director Cathy Galbraith offered a few other prescriptions that are worth passing on. Besides calling for neighbor notification, she recommends changing the definition of demolition in the city code. Currently any demolition that leaves a portion of the house still standing is categorized as a remodel, even though in many other jurisdictions at least 50 percent of the original structure must be retained. Galbraith also proposes a 120-day delay for demolishing any house over 50 years old. In 1983, the city created a Historic Resources Inventory, which could serve as a guide for which houses were significant, but it hasn’t been regularly updated, so anything a half-century old or more should probably be included. Ultimately the greater need is to regularly update the inventory. In any case, the four-month delay would give preservationists the time to investigate options such as buying out a developer in order to prevent demolition. Buying the demolishing owner out was the solution found for the 1892 house Kevin Rose bought, but it only barely happened at the 11th hour because of a lack of a waiting period. I'd like to see some kind of new inventory taken of the city's most architecturally significant historic homes and keep it updated every year. That could be our guide for some of these protections. An additional help Galbraith suggests could come from the city requiring that existing front and side-yard setbacks of the demolished home be maintained. A lot of times when a modern house is being built in a neighborhood of historic homes, neighbors think it’s the contemporary design that’s out of step with the nearby houses, but it’s really about scale. This proposal seems a bit less likely to happen, because it could make increasing density more difficult to pull off. But it would also remove a lot of neighbors’ objections. Sometimes an old house becomes the subject of a preservation campaign because it’s a beautiful old house, but other times it’s simply the fear of an out-of-scale replacement that motivates opposition. Great cities are ones that engage in successful balancing acts, be it economically, socially or physically. We want places that are affordable but not destitute. We want great shops and restaurants but not so much competition for real estate that only big ubiquitous chains or moneyed one-percenters can justify the rent. We want enough density to enable and fill with life our walkable neighborhoods, but not so much that good architecture gets regularly torn down simply because something higher-density could be profitably built in its place. Today many of the biggest and most prominent cultural capitols such as New York, London and San Francisco are grappling with the downside of popularity and gentrification: the middle class is being driven out and often banal high-density architecture is crushing little buildings with character that gave these cities their identity. These cities have lost their balance, while so far Portland hasn’t. The question, though, is how much we’re beginning to teeter. For while nearly no home by itself is architecturally irreplaceable, collectively when wide swatches of a historic neighborhood’s fabric begin to go away it could easily be seen as a dangerous precedent in which that which makes a city livable and lovable starts to turn on itself. So let’s make sure we continue down density’s path, but in a more nuanced way: one that naturally and instinctively says “Whoa, hold on a minute” when a cultural landmark, even one under 1,000 square feet, becomes threatened. We need the Kevin Roses of the world to take their talents to Portland. We even need developers trucking in from Gresham to keep our stock of homes in good working order and sometimes even replaced. But again, it takes a measured approach that doesn’t take neighbors off guard or erode what makes Portland Portland. "We never could design a building as beautiful as the trees." That quote from architect Pietro Belluschi is engraved on a commemorative bench in Forest Park dedicated to his memory. Perhaps it's something not many legendary architects would say, yet as this weekend's tour of six Belluschi-designed houses made evident, this was an architect who always saw his designs in the context of landscape. The Belluschi weekend began Friday night with a talk at the Portland Art Museum given by Belluschi's son, Anthony, an accomplished architect in his own right who spent most of his career in Chicago but also worked with his father on 17 different projects. Returned to Portland, Anthony now lives in the Pietro Belluschi-designed Burkes house, in which his parents also lived before their passing. The younger architect has restored and expanded the Burkes, which was part of Saturday's tour, but he's also become an active caretaker of his father's legacy. On the heels of last year's Pietro Belluschi exhibit at the Oregon Historical Society (which is now moving on to the Jordan Schnitzer Museum of Art in Eugene), Anthony also organized this year's tour in partnership with Restore Oregon. On Friday night, Anthony Belluschi took the packed Whitsell Auditorium on a personal journey through his father's life and portfolio, beginning with his early days in Ancona, Italy and his service in World War I. As a picture of Pietro in his Italian army uniform showed, he was always a sartorial fellow. Anthony also showed photos of Bologna, where Pietro studied before the war. "It's important to see where he came from," the son said of the father, pointing out the urban fabric of granite, marble and stone, all materials that would be utilized in his designs. Pietro Belluschi was part of an enormous diaspora of Europeans who came to America during and after the two world wars. From movie directors to engineers, scientists to novelists, the United States received an incredible infusion of talent resulting from the violent upheavals of the early 20th century. After the war, Pietro studied at Cornell University, which remains perhaps America's most acclaimed architecture school. Deciding to remain in the US due to the rise of fascism in Italy, he had a choice between Seattle, Portland and San Francisco, but chose our city because of a connection to A.E. Doyle, who was the city's most important and prominent architect (even today only Belluschi himself surpasses Doyle in importance), a stroke of luck not only for Pietro himself, but for our city, in that it created a continuous line of mentorship and mastery that has continued over the decades. As Belluschi aficionados know, one of the biggest turning points of his career was the Portland Art Museum commission and the fraternal boost from Frank Lloyd Wright that helped make it possible. Museum trustees wanted a neo-Georgian style like that of Doyle's Central Library, rejecting the modern design Pietro created. But after Belluschi wrote Wright asking for help, Wright wrote the trustees and scolded them. The modern design not only won out, but still stands today. "Obviously he went back to the board and said, 'I told you so,'" Anthony said in his talk. If the Portland Art Museum put Belluschi on the map locally and regionally, the Equitable Building launched him into the national consciousness. The first American skyscraper with an aluminum-clad curtain wall and air conditioning, the Equitable was "right up there with any of the Europeans, the New Yorkers, Mies Van Der Rohe, all of them," said the legendary architect and critic Philip Johnson. Pietro Belluschi would go on to lead the MIT school of architecture for some 20 years, during which time he designed or co-designed some major American landmarks of modern architecture such as the Pan-Am Building in New York, the Julliard School at Lincoln Center (since altered in a renovation that Anthony said he thinks Pietro would dislike), and the Cathedral of St. Mary in San Francisco. Of these, it is St. Mary that seems to have the most unique and timeless quality, thanks to elements like its saddle roof, comprised of eight segments of hyperbolic paraboloids, forming a cross. Although Belluschi had a hand in later Portland buildings such as the US Bancorp Tower, better known as "Big Pink," it was churches and houses that he was known for after returning to the city in 1973 following his MIT retirement. Churches such as St. Thomas Moore in Portland and 1st Presbyterian in Cottage Grove display not just the clean lines of modernism, but an almost arts and crafts-like reverence for materials such as wood. "I can still see the church of my youth in Bologna, as every church I've been to," Belluschi once told biographer Meredith Clausen. "The church is not the building; it's the coming together of people -- how they face each other, how they feel each other." Talking about Pietro's house designs, of which 34 remain standing, Anthony cited his father's love of barns in the Oregon landscape. "That's something that stuck with him all his life," Anthony said. "They were simple and indigenous." When I heard Belluschi's masterful circa-1948 Burkes house was being expanded, it made me nervous. Few would ever dream, for instance, of adding on to a Frank Lloyd Wright house. Or if someone tried to expand, say, the John Yeon-designed Watzek House, preservationists would line up to stop it. Why mess with an immaculate piece of local history? I was especially nervous about the fact that a second story was part of the expansion for this one-story home hugging a Northwest Portland hillside. But having seen it in person, I was relieved that Anthony Belluschi clearly understands his father's architecture well, and the award-winning expansion is such that Burkes house does indeed feel like a congruent whole today, its language of wood and glass not only enlarged but nicely updated for the future with moves such as an expanded kitchen that don't feel out of place in relation to the original design. And for architecture, it's not enough to simply preserve: however artful a design may be, it has to remain relevant and useful. What's more, as Janet Eastman wrote in The Oregonian, "It is incredibly poignant that Pietro spent his last years here, before passing away at 94 in 1994, and that his son and daughter-in-law refinished wood, replaced worn floors and made modifications that the family, modernists and architecture experts agree would have been approved by the exacting Pietro Belluschi." Anthony Belluschi expanded what had been a trellis at the edge of the house to create a new multipurpose media room and a loft space in order to accommodate grandchildren. That's where the aforementioned second story comes in, but its sloping roof hugs the original house's form. Between this space and the edge of the original house is a long, thin white-walled and skylight-bathed gallery space between the old and new spaces to display their extensive art collection. Little art can be hung on the walls in the original portion of the house because of its wood ceilings, a kind of artwork of artisanship. The gallery makes a nice visual counterpoint. There were six Pietro-designed houses on Saturday's tour, including the Jennings Sutor (1938), the Joss (1941), the Ressler (1949), the Papworth (1980), and the Platt (1941) in addition to the Burkes (which has been renamed the Belluschi House). Although they represented a 42-year span of his career, it was noteworthy how much of a connecting thread existed between them. Hallmarks of Belluschi houses noted by Anthony in the talk included sloped roofs with large overhangs or trellises, ample use of wood inside and out, woven wood ceilings, uninterrupted glass walls, louvered vents on exterior walls, cork or wood or tile floors, fireplaces of stone or brick (often with copper hoods), connections to the site and landscaping, functional intimate courtyards, and simple open layouts with easy circulation. And these features were there to see in each house, whether it was the woven wood ceilings at the Burkes and the Platt, for example, or the sloping roof and overhang of the Sutor and Papworth. What impresses me about these houses is how modest most of them are. These are not mansions for strictly affluent clients. Pietro Belluschi, like Wright before him, sought to bring great design to the masses, as evidenced by his designs for Life magazine, for example, or his work for acclaimed California builder Joseph Eichler. The weekend Belluschi-house tour also served as a reminder of how much landscape played a role in the designs. Many of the properties, such as the Platt and the Papworth, are situated amidst extensively landscaped gardens and acreage. Pietro Belluschi houses aren't monoliths perched in high places for us to look up at. Instead, they seem to become immersed in the land. And while international-style modernism inspired Pietro, so too did Japanese and Scandinavian architecture as well as simple indigenous buildings such as the aforementioned barns. And the amount of wood inside and out further fosters a sense of appropriateness and timelessness. When Anthony Belluschi finished his talk and opened the discussion to audience questions, one person asked him to talk in greater depth about Pietro as his teacher. After all, Pietro had initially discouraged Anthony from becoming an architect, encouraging him to take up painting. And it couldn't have been easy for a young aspiring architect to match his father's accomplishments. Anthony also eschewed the chance to study at MIT, where his father was dean, and instead studied at the Rhode Island School of Design. Anthony also made his career in Chicago, away from the influence his father had in Portland, Boston or even San Francisco. Yet he also would go on to work on 17 different projects with his father. Anthony described Pietro as "very subtle, very quiet" as a teacher, but a good one. And in a brief slideshow of his own projects, which have been collected in the book Urban Places, Public Spaces: The Architecture of Anthony Belluschi by Edward Gomez, it was clear that father influenced son immensely. The younger architect designed public spaces such as the soaring American Airlines terminal at Chicago's O'Hare airport, and numerous shopping centers in the US and Asia. Both types of buildings can feel oppressive and claustrophobic in the wrong designers' hands. Yet as Gomez's book shows, in Anthony Belluschi's hands these spaces are teeming with natural light and materials, transcending the corporate settings they're built to be. It's one thing to design a beautiful art museum, church or house, but it takes a special talent to make a mall uplifting. Belluschi should be proud, both of his own architecture and the role he has taken as caretaker of his father's legacy. Although it's called the Skidmore Passivhaus, I might have named this home and workplace for architect Jeff Stern and his wife, artist Karen Thurman, the Yin-Yang House for its inherent balance. As its name suggest, the home, designed by Stern's firm, In Situ Architecture, meets Passive House standards for energy efficiency, yet these added costs are offset by a series of architectural and material choices that also give Stern and Thurman's home an industrial-chic sense of style. Standing in this covered connecting zone felt a little like being in a Rummer house of yesteryear, where one is staring at exterior cladding within an interior space. It's blurring the borders between indoor and outdoor. And because the home interior is completely white, and the wood-clad exterior stained a dark ebony, it emphasizes a demarcation point where Stern and Thurman can leave work and walk just a few steps into a space that feels markedly different. "Way back when we conceived of it we thought about this more literally being an outdoor space," explains Stern, who previously worked for Portland's Opsis Architecture before forming his own firm. "Then we kind of got wise about the weather. We didn’t want to literally go outside but we wanted to keep that feel." Passive House design is about creating a thermos-like environment that's well insulated and completely air-tight. So Stern and Thurman devoted an increased percentage of their budget to high-end windows (overwhelmingly south-facing with minimum glazing to the east and west) and mechanized exterior shades that keep out unwanted summertime heat. Though Thurman enjoys leaving the shades open out of an affinity for warm temperatures, Stern says last summer during the biggest heat waves, the house would maintain interior temperatures in the low 70s when they closed the shades in the morning. "Some people thought we had air conditioning when they walked in," he remembers. In the winter, the house has remained toasty even though it relies on only four small wall-mounted electric heaters. "It's the equivalent of four hair driers and yet we were perfectly comfortable," the architect adds. While vastly reduced energy bills (versus a house designed to code) help offset the added cost of meeting Passive House standards, Stern's design also makes use of affordable and materials in a way that doesn't compromise the aesthetics. In fact, it forms them. Bifurcating the living room from the kitchen, for example, is a stairway made from folded steel. The floors are concrete, which helps the home hold its thermal mass. The kitchen counter is made from plastic laminate and the cupboards are made of plywood, while the upstairs bedroom counter from poured concrete. Doors and other surfaces are often cast in bold primary colors that give the industrial feel of the concrete and steel a nice touch of whimsy. Stern's design also creates a nice balance between loft-like openness and closed-door intimacy. Like a loft, the house places a bedroom above the kitchen but keeps the living room double-height. The bedroom looks down like a balcony onto the living area, but instead of keeping the bedroom open, Stern placed an interior window there as well as a pocket door at the top of the adjacent stairway. As a result, the bedroom receives the natural light pouring into the living room, but a greater sense of privacy. When I stood at the top of the stairs beside the bedroom, I could literally hear my speaking voice create two sets of acoustic conditions, carrying almost echo-like into the living area below but resonating warmly in the bedroom. I've often wondered how two people living in a loft could live with having a bedroom share acoustics with a living room. This solution finds a yin-yang of privacy and light: like much of the house, it's the best of both worlds. Thirteen years ago this month, Portland architect Walker Templeton was getting ready for one of his last games as a football player: a Holiday Bowl victory over Texas as his Oregon Ducks team earned its first ever year-end Top 10 ranking. Now, as his former team again prepares to play Texas in a bowl game this month, Templeton's career has taken another turn. Though he has spent the past eight years (following a master's degree in architecture at UO) toiling at two prominent firms, ZGF and now SERA, Templeton recently saw completion of his first solo project: a house on NE 28th Avenue that the architect intends to last a century. As sustainable design and construction have moved closer to the mainstream over the past decade-plus, the term "hundred-year building" has become common: a shorthand way of expressing that a more robust insulation, structure and other aspects of its architecture possess enough durability and quality to last for a century. A hundred-year house, presumably, would be the opposite of the '70s ranch house that I grew up in: no sense that the Big Bad Wolf could blow it down in one exhale, no suspicion that half the heat one pays for escapes out the single pane windows, and no hearing conversations across the house through hollow doors. Indeed, as I arrived to visit the recently completed 2,450-square-foot house, Templeton was eager to talk about its insulation. Though not technically a Passive House, in which the structure becomes almost like an airtight thermos, the design follows the same approach, adding far more insulation than code requires and assuring no moisture penetrates its exterior. Yet Templeton and Jon DeLeonardo of SERA, who served as a project architect assisting Templeton's lead design, also worked hard to create a kind of spatial efficiency. One gets a sense, passing through the rectangular ground-floor great room and the three upstairs bedrooms, that the configurations have been whittled down to their most basic. "Jon and I went over and over again on a napkin," Templeton says as we tour the home. "Whenever we’d add something, we’d ask ourselves, does it need it?" At the front door, for example, you can easily look through the house and out the floor-to-ceiling glass in the back. Upstairs, Templeton took out a second bedroom and added a Jack-and-Jill shared bath in order to create more storage space and a laundry area. The house also made reclaimed materials a priority. Especially of note is the reclaimed Douglas fir, which was used for most all of the floor, stair treads, shelving and other trim. All of it came from an 80-year-old warehouse. "The beams are all 20 feet long," Templeton says, pointing to the floor, "so there’s no seams." But he's just as proud of things like interior closet shelving. "I hate walking through million-dollar homes and seeing particle board shelving. All this will be slabs of wood. Everything in this house is made to last for 100 years." Outside, the house straddles an interesting line between modern and traditional. It has the minimalist form of a modern structure, almost like one triangular block sitting atop a rectangle, with no extraneous detailing. Yet simply by having a pitched roof the house seems to try and fit in with the existing neighborhood of older homes. "I’ve seen a lot of these homes in modern neighborhoods that look like a cube," Templeton explains. "I love cubes, but in this context they can feel like they’re from outer space." The exterior also alternates traditional stucco on its front and back with black metal panels on its north and south sides, each a durable material but one with an older feel and one newer, emblemizing the yin-yang of modernity and past that fueled the design. Although the house seems to fit well into its context, that doesn't mean the neighbors aren't gawking. Thanks to its gutterless roof, during rains the house displays a kind of functional theater, as rain falls from the roof down to deep collection pools on either side. "A neighbor told us, 'We love to watch the side of your house when it rains. We love to see the waterfall coming down,'" DeLeonardo says. "The droplets just kind of dance." Built as a spec home, the house on 28th has already found a buyer. But Templeton hopes it will be the first of many. SERA not only allowed the architect to pursue the project while balancing it with his other firm duties (something many firms would eschew), but its leaders have encouraged Templeton to potentially design his next house under the SERA umbrella - and to make it a full fledged passive house. Templeton's college football career was eventually cut short: an Achilles tendon injury in his senior year, 2001 (one of the Ducks' greatest seasons, with the team winning a Fiesta Bowl and finishing #2 in the nation), limited him to three games. But he says football indirectly made him a better architect. Templeton had known he wanted to be an architect from a young age. His father, grandfather and brother all worked as home builders. But obtaining an undergraduate architecture degree and playing major-college football just weren't congruent. One spring, Templeton sat down with then-head coach Mike Bellotti and realized as much after his off-season conditioning regimen, meant to add 30 pounds of muscle, instead saw him drop 10. So in order to streamline his fall studies and focus on football, Templeton switched to a multi-disciplinary bachelor of fine arts degree program that combined multimedia design, business and art history. "I think it was the best decision I ever made," he says. "I went from a mindset of wanting to do typical developer-driven architecture to thinking about and trying all kinds of design and art, from multimedia to sculpture and furniture. It put my whole world upside-down." After earning a master's degree in architecture over the ensuing three years, Templeton would soon find himself at ZGF under celebrated architect Gene Sandoval, working on projects at his alma mater like the award-winning Jacqua Center. He says it was the hardest decision of his career to leave ZGF and its portfolio of large-scale sustainable projects. Yet watching Templeton lead the tour of this home, one can see an architect passionate about the opportunity to leave a mark of his own. Architecture, like football, is a team game. But this house gives a former lineman a chance to run with the ball in his hands. Recently one of our town's finest church-home conversions was placed on the market. But perhaps as a testament to our continued love affair with repurposed churches, as well as to the sublimity of this particular home conversion, the special church-turned house on Southeast Harrison Street in Ladd's Addition was sold in the time that it's taken me to write about it. Those familiar with historic Ladd's Addition in Southeast Portland may already know the house by its distinctive appearance. The 1920s-built, former Italian Presbyterian Church has a triangle-topped octagonal steeple with round porthole windows and a bold color-scheme of red, black, white and grey. It remained an ecclesiastical building until the early 2000s, when it was the First Baptist Church of the Deaf. But after fire claimed portions of the interior, the congregation moved on and it was converted to a home. On my recent visit there, an evening sun peered through the autumn foliage framing its stately facade, while yellow leaves fell on its lush, manicured lawn. Despite having obvious curb appeal, the real treat is inside, where a vaulted, stone-floored foyer gives way to a spectacularly re-conceived nave space, encompassing a one and a half-story living room, Euro-style kitchen, and office, overlooked by a piano parlor-lounge carved from the church's former choir loft. In addition to the piano loft, owners Clay France and Graham McReynolds also added a cross-facing master bedroom suite since moving there just over a decade ago. The original renovations were undertaken by a local construction contractor who converted the church to a residence in the early 2000s with the intention of selling it. Other architectural features boasted in the listing included, "cathedral ceilings, skylights, Japanese soaking tub/steam room/shower, and taxes frozen until 2016." Though the Harrison Street church-house conversion is exceptional, two other stylish conversions come to mind, each in their own way embody a touch of Dwell magazine flair while enjoying relative anonymity for being shuffled in amongst other more ordinary homes. One is a small church-house on Northeast Sixth and Fremont inhabited by Beverly James Neal and her partner Amy, whose home whom I first discovered while looking for accommodations for a visiting friend via AirBnB. "Once a church, now a loft-style home with every comfort you'd look for in a home away from home..." the profile states. I can attest that their place is every bit as nice as the photos make it seem, making it a fantastic option for anyone looking to station themselves in a highly transit-friendly part of Northeast Portland. In nearby North Portland reside Tamara Goldsmith and her Church of Tam. Tamara bought the church, previously known as the Miracle Revival Center, in 2009 and moved in before Christmas of 2010; she has lived in the main part of the church ever since. With the help of her then business partner, Eli Haworth, she turned the back half into an apartment, which she continues to rent out. After gutting the church and replacing plumbing, flooring, walls, insulation, and electrical, the pair added new bathrooms and kitchens to both units. Tamara added balcony windows and installed a 10-foot roll-up overhead door "for maximum access and connection to the outdoors," she explained. She also removed the driveway in favor of a landscaped side yard. Of the decor, Tamara says: "I really enjoyed selecting custom things that I've always wanted in a home like a big farmhouse sink and interesting plumbing fixtures, and a large wood kitchen island on the edge of a large open central space, which accommodates a variety of uses including a great entertainment space, office and terrarium. I made the overhead pendant lights out of old glass milk jugs and am working on a recycled steel handrail to the upstairs and stained-glass windows utilizing recycled dichroic glass." She's also planning a large-scale bookshelf utilizing recycled steel pipes and old-growth wood planks and looks forward to continuing to incorporate recycled materials wherever possible. Since he first gained notoriety in 2009 with the Z-Haus, a Northeast Portland rowhouse in which the central stairway became an ingenious organizing point for several half-level rooms, architect Ben Waechter has shown uncommon vision and creativity designing houses. The architect, who began his career working under legendary Italian architect Renzo Piano and later for celebrated local architect Brad Cloepfil, has a way of creating houses that are rooted in strong visual ideas and exquisitely rendered detail. So I trusted Waechter when he took an even more unique approach: a house based on a medieval tower. When designing homes to will sell quickly on the open real estate market, as Waechter did with the Z-Haus and his new Tower House (his wife is a realtor), few architects would look to this kind of historic architecture as inspiration. After all, we associate such medieval towers with military fortification: tall, mostly cylindrical and largely windowless stone edifices from which troops could protectively shoot their arrows against invaders. What could this possibly have to do with a little plot off Cornell Road? But for Waechter, the challenge of a small, steeply sloping parcel with only a small shelf of flat land from which to build made this historical form a valid inspiration. So the three-story Tower House rises from down its back slope, connecting to the street via a pedestrian bridge on its third floor. One enters the house through the kitchen and dining room at this middle level; a living room is on the fourth floor and bedrooms are stashed below, on bottom two floors. But it isn’t just that Waechter designed a four-story house shaped cylindrically like a tower. It also feels fortified as if the house, like its medieval antecedent, were made of thick walls. The architect placed the home’s stairway (as well as bathrooms and closets) along the perimeter, circumscribing each floor's one main living space, making the façade almost like a thick sleeve. Contrasting these white and grey interstitial spaces, the main interior rooms are clad with white oak floors and cabinetry, giving off an added sense of warmth. Yet through the tower’s thick façade there are generous framed openings and connections to the outside, flooding the interior with light. On each level, for example, Waechter created small outdoor spaces. Yet instead of hanging the space off the exterior facade, they are carved out from the interior, utilizing the same interstitial space as the stairway – thereby maintaining the simple visual integrity of the tower form. To complete the sense of the exterior as one continuous sleeve, the architect used black vertical corrugated steel with rounded corners that eliminated the need for corner trim. Corrugated metal often can look cheap as an exterior cladding, but Waechter believes this often comes not from the metal surface itself but its often-clunky trim. On the tower house, this corrugation feels like a much more elegant material, perhaps even like fabric. But Waechter doesn’t need a bold spec house to exercise these design principles. A recent visit to another of his recently completed houses revealed many of these same approaches, only applied to a more modest existing-home transformation for a private client. The Oakley House’s client sought a larger house than the small cottage on its site, but with little room to expand on its compact lot, Waechter’s new house stuck to the original 28-by-28-foot foundation. Added space was created by cantilevering the top floor in both front and back. Similarly to the Tower House’s loggias, the front and back porches here feel not like an add-on but instead carved out from the larger form. Waechter again used corrugated metal that’s wrapped around the corners, creating a gentle curve that humanizes what could have otherwise been a monolithic feel. Perhaps most boldly of all, the top floor in front is completely windowless. But inside, be it upstairs (via many side windows) or downstairs (with floor-to-ceiling glass in front and back), spaces are teeming with natural light. Like the Tower House, here the main living-dining area is festooned all around with wood, with matching wall paneling, flooring and windows. Waechter even raised the entrance to the side stairway by a step, so as to further complete this aesthetic sense of being enveloped by wood with only a few designated openings. Whether it’s a bolder spec home like the Tower House or as applied to a modest scale like the Oakley House, there is never, at least for me, any doubt about a Ben Waechter design when I see it. His architecture never stands out for its own sake, yet the degree to which his designs remain rooted in a strong, clear idea is always special, as is the distinction he creates through materiality between primary and secondary architectural spaces. Waechter’s work can feel like a reinvention of traditional architectural forms even as he works from within those confines. This is architecture that’s pristine as sculpture, yet the architect never wavers from designing residences from the inside out - function rooted in form. I can’t help but wonder what this exceptionally talented architect would do with a larger commission, especially a public building like a museum, courthouse or library. Yet staying true to houses and small retail projects may also suit Waechter equally well: like a jeweler in a world of rock pickers. Whether designed by a prestigious, award-winning firm or a mediocre one with cookie-cutter tendencies, most mixed-use condos and apartments routinely take a similar boxy form determined as much by lenders’ stipulations as design solutions. Before they provide capital for this kind of building project, banks have a checklist: things like net-to-gross square footage, and the percentage of the building’s skin in relation to the interior. It results in boxes built out to the limit of the available land, with units on the sides and corridors down the middle. This may maximize potential profit and help guarantee the loan gets repaid, but it creates a ubiquity stretching across different architects’ plans and, worse yet, creates units devoid of natural light as one moves further away from the exterior windows deeper inside. You’d be surprised how many Portland condo owners are living in units that resemble bowling lanes. “In the typical approach, you minimize the length of the main hallway and you make the building as deep as you can on either side of it. There are nuances on finishes and that kind of thing. But if you look at the majority of new multi-family housing in Portland, that’s the model,” says THA Architecture principal David Keltner. It’s not to say good architecture can’t be done within these constraints. THA’s own Cyan apartments and Atwater Place condos are two good examples. But for each one of those, there may be countless other projects across the city that are not only bland shoeboxes, but ubiquitous ones. Now, though, a series of condos currently rising on Division Street, developed by Urban Development Partners and (in two cases) designed by THA (the other is by Works Partnership Architecture), are demonstrating the benefits of greater design flexibility. Funding is coming via a real estate investment trust rather than conventional funding, so there is not the same set of restrictions on the design itself, as long as the cost remains comparable. “These guys have to hit the same cost per square foot, but they can design them any way they want. And that has had a big impact on the architecture,” explains Keltner. THA’s mixed-use residences at 3330 and 3339 SE Division, right amidst the area already teeming with a wave of new restaurants, feature small units under 600 square feet but with a better distribution of light. There has been ample recent controversy about new apartment/condo buildings in Portland neighborhoods and the amount of on-site parking they have or don’t have. These projects come with some parking, but not a spot for every potential tenant. And to do so would be a mistake, creating a suburban-style building out of touch with its centrally located urban site. The projects that have been garnering outcries from neighborhood residents are the ones that try and fit many more units without parking onto a site. Not too far from where these projects developed by Urban Development Partners are going up is another project by a different developer with more than 80 units and no parking. That’s the kind of project that can cross the threshold into difficulties for the neighborhood. Its progress was recently halted by the City of Portland on a technicality involving its entrance, despite already reaching four stories in height. But it's parking that local officials, at Mayor Hales' behest, are concerned about. "The right thing to do in this case—-sort of the land-use version of the Hippocratic Oath—-is do no more harm," Hales told Willamette Week's Aaron Mesh in a story published earlier today. But smaller projects without parking should not be made to include lots of parking, nor should there ever be a one-to-one ratio of residences to parking spots in these buildings. To do so would be to transform a vibrant, pedestrian and transit-oriented neighborhood into Gresham. Meanwhile, after some five years of recession, the real estate economy is clearly picking up steam. Many of the top firms in Portland who were designing lots mixed-use buildings and residences before the downturn, such as THA, Works Partnership, Lever Architecture, Vallaster Corl and Holst Architecture, seem to be busy today with a host of projects. Places like Division Street may never be the same, but they’re changing for the better, with transit-oriented developments along major arterials such as this being built -- with some noteworthy aforementioned exceptions -- quite thoughtfully. Whether it’s the banking industry or NIMBY neighbors, there are plenty of pratfalls for developers and architects looking to produce high-quality designs emphasizing natural light and a transit/pedestrian-oriented lifestyle. But with the right marriage of designer and client, projects as these are showing the way forward. It was an otherwise ordinary September back in 2002. President Bush was upset about Iraq's weapons of mass destruction. The New England Patriots were beginning a defense of their Super Bowl win. An update to the newfangled iPod released a year earlier was just hitting Apple stores. A succession of sequels and prequels (Lord of the Rings, Star Wars, Men In Black) dominated the box office. And the City of Portland's "Build It Green!" Home Tour and Information Fair debuted to a Portland public increasingly hungry for practical information about how simple common-sense investments in their homes could save money and demonstrate better ecological conservation. The self-guided tour, which features 16 homes, is scheduled from 11AM to 5PM this Saturday, September 22. Tickets are $15 ($10 for seniors, free for kids under 13). The accompanying free information fair will be held from 10AM until 2PM at Green Depot (819 SE Taylor). It's a chance to not only see these homes but to chat with homeowners, designers, do-it-yourselfers and contractors, and to learn about materials and technologies like solar panels, ecoroofs, rainwater harvesting, natural landscaping, affordable housing, water and energy conservation, natural building materials, alternative construction techniques and much more. The "Build it Green!" roster includes several intriguing homes, and even if one doesn't actually go on the tour, perusing its website provides a nice tour of not only some well done small sustainably minded projects but also a survey of numerous small firms and practitioners who might not otherwise be recognized. It also goes to show how site selection may be the most important green design move: many of these projects are accessory dwelling units (ADUs), which help maximize density and thus limit sprawl. There is the Master-Draper Backyard Cottage, designed by Dan Lajoie of Departure Design, which converted an existing garage into an energy-efficient art studio and compact dwelling. Sliding doors help extends living space to a small adjacent garden, and materials include a salvaged farm sink, railings made from wine barrel railings and a mosaic bathroom designed and tiled by the owner. Its sustainable features include a tankless hot water heater and an airtight thermal envelope. The Peterson Backyard Cottage, designed by Studio Eccos Design, allows new lodgings for the owner of the main house providing the space, which in turn is rented out as an income source. Its features include a heat-recovery ventilation system, passive solar and radiant in-floor heating, and solar tubes for added daylight. Svaboda Court, designed by Lundin Cole Architects, is a housing development in Southeast Portland for people making 80 percent of the median income or less. Outside the units is Portland's first shared-court design, using a vegetated swale and pervious pavement to create a common space for cars, pedestrians, community activities and stormwater drainage. Green features include a heat recovery ventilator, thermal solar hot water heaters and triple-pane windows. The Cash-Darienzo Passive House, co-designed by Green Hammer and Communitecture, is designed according to Passive House strictures for an ultra-tight building envelope. It also showcases water conservation with a 3,000 gallon cistern for harvesting rain water, as well as a wastewater heat recovery system, solar PV array, and an ecoroof. The Cross Accessible Remodel was designed by its owner, Larry Cross of Serendipity Dezign. A showcase for universal design (also known as barrier-free design), it is completely wheelchair accessible. As the Baby Boom generation reaches retirement age and beyond, universal design will someday be much closer to the norm, not only in individual homes but the public realm. Another owner-designer project, and another accessory dwelling unit, is the Firpo Backyard Cottage by Susan Firpo of SL Firpo Design/Craft. Firpo sought to match the stylings of the original main house, built in 1908. Also acting as general contractor, she made the cabinetry out of leftover flooring material. A ductless mini-split heat pump provides all heating and cooling. Zero-toxity materials, many salvaged, were used in the project, which is designed to Earth Advantage and NW Energy Star specifications. Summer and fall are the time for most homes tours. Besides "Build It Green!" 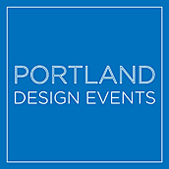 there are more tours coming up in the months ahead, such as AIA/Portland's Design Matters: A Tour of Exceptional Portland Homes, scheduled for October 13 as part of the monthlong annual Architecture + Design Festival. There is also a new series of fun educational tours offered by the nonprofit Dill Pickle Club, such as the Seedy Seamy Sinful Tour, also scheduled for this Saturday, September 22, and featuring the saloons, gambling halls and bordellos that used to make up 19th century Portland. The DPC is also featuring on October 6 the North Portland Gentrifaction Tour, charting "the rise, fall and efforts to reunite Portland’s Black neighborhoods," and on October 19 Hidden Portland: City Treasures!, hosted by Carye Bye, author of Hidden Portland: Museums & Collections. Chances are good that David Bagwell didn’t anticipate the path awaiting him as he started working with a designer on plans for a two-story addition to the rear of his 1926 Dutch Colonial home in Irvington. In the end, he found himself involved in what may be a precedent-setting case for additions to residences in some other neighborhoods, as well. Because his house sits in the nearly two-year old Irvington National Historic District, Bagwell’s plans required a historic design review by the Portland’s Bureau of Development Services. “We worked with the city,” which approved his plan, “and we think the city is correct,” Bagwell testified before the Portland Historic Landmarks Commission this week. But the Irvington Community Association filed an appeal, contending that the city staff crafted an approval criteria that doesn’t exist in the city code. In its written decision, the city ruled that Bagwell’s plan was acceptable because it was mostly not visible from the front of the house. Since the house itself was not a designated landmark – only a contributing element to the neighborhood historic district – the city concluded that the impact on the district, rather than the house, was the determining factor. The city staff reached its conclusion because it believed the district was created under federal rules “based solely on an evaluation of its historical character conducted from the public right-of-way,” according to the city ruling. Members of Irvington’s land use and historic preservation committees begged to differ. Jim Heuer, one of the preservationists who helped create the district, said photographs from the public rights-of-way were only part of the nomination material, along with “complete aesthetic statements that included more than the front.” He also noted that part of the historic district “experience” would be views of the rear of the house by people who lived nearby. “We have to allow a certain amount of alterations,” he noted. “This is not a museum district.” But he thought the proposed 600-square foot addition was too large and too incompatible with the rest of the 1840-square foot residence. Rather than use the “drive-by” criteria, Dean Gisvold, chair of the neighborhood land-use committee, said the city should be evaluating additions to historic properties using a “hierarchy of compatibility” standard included in the city zoning code for municipally-designated landmarks and historic districts. Under that guideline, additions are to be evaluated for compatibility with the “original resource,” then with adjacent properties and with the rest of the district. “If the interpretation of criteria is wrong, then the decision based on it is also faulty,” Gisvold testified. After considerable discussion, the landmarks commission reached a consensus that a contributing element of a national historic district should be considered the original resource, not the entire district. This approach gives the city more discretion in judging the merits of a rear addition even it is invisible from the sidewalk. Tim Heron, director of the BDS planning staff, said the ambiguity in the city code could be remedied in a future revision. And what of Bagwell’s planned addition? To the untrained ear, the debate over the “resource” to be considered must have seemed dense and perplexing. “It just seems to me that we have a matter of opinions” about the design of his addition, he said. The landmarks commission seemed comfortable with the scale and massing of the proposal, but offered some suggestions about more historically-compatible window locations. Bagwell and designer Don Rouzie said they would work with the city staff and present a revised plan next month. In the end, the homeowner is likely to win approval. And, until some future code revision clarifies the standing of individual contributing buildings in national historic districts, the city planning staff wins a better understanding of how to manage similar applications in the future. Fred Leeson is board president of the Bosco-Milligan Foundation and its Architectural Heritage Center in Portland. Not all midcentury ranch houses display great design. Yes, there are advantages to single-story living – you don’t pay as much for heat; it’s better for age-in-place and universal design; and it makes for easy access and maintenance. But for many homeowners, the words “ranch” and “ugly” seem synonymous—unless you’re talking about a Rummer. Houses built by the Oregon builder Robert Rummer are known for their understated elegance, luxurious natural light, vaulted ceilings and exceptional craftsmanship. At any given time, half a dozen Rummers, as they are affectionately called, are up for sale in the Portland area – an indication of the impact left by one innovative designer’s life. Robert Rummer had a secure position in insurance in 1959 when he had just finished building his family’s dream home. Yet when friends passed on pictures of Joe Eichler’s unusual, modernist homes in the San Francisco bay area, Rummer was inspired. Eichler’s designs looked nothing like the average ranch home of the 1950s. An Eichler home used enormous posts and beams to hold up the structure, thereby allowing entire walls of windows. This, along with vaulted ceilings, made for incredible amounts of natural light. Radiant floor heat, minimalist design and low-pitch or flat roofs rounded out the Eichler approach. Rummer saw an opportunity to bring this futuristic home approach to the Pacific Northwest. From 1959-1975, his company would build more than 750 mid-century modern-style homes in Portland, at the coast and sprinkled throughout the Willamette Valley. How can you spot a Rummer home? Well, the single-story layout is a dead giveaway. Beyond the Eichler elements listed above, also look for generous use of glass, a central atrium, and vaulted ceilings. In a Rummer kitchen, 30-inch Formica counters sit below “flying-coffin” cabinets, with shelves that pull out when the cabinet door is opened. The living room of a Rummer home usually faces a rear garden and is often adorned with a concrete block or brick fireplace. Step-down Roman tile showers are also common in Rummer homes, as are mahogany slab interior doors. Rummer homes and the larger mid-century modern sensibilities they express are increasingly popular among design aficionados. The versatility of minimalist modern design is one reason for this; a Rummer home can as comfortably withstand a desert landscape as it can the dripping firs of Portland. And its simple, elegant lines complement many different décor styles, allowing the tastes of the homeowner to shine through. For many property owners, however, the ultimate reason to choose a Rummer home is its inherent long-term value. The structural skeleton of a Rummer design required top-notch labor and materials; only grade-A timber could support such airy layouts. This exceptional construction allows Rummer homes to outlive their ranch counterparts – and makes for better sales figures. According to realtor Jim Demarco as quoted in The Oregonian, a typical Rummer demands $20,000 to $30,000 more than a similarly sized ranch in the same area. Appreciation for Rummer’s style has lead several local neighborhood associations to explore national historic preservation. Oak Hills, a mid-century neighborhood in Washington County, contains 29 Rummer homes and is in the process of earning National Historic District status with the National Register of Historic Places. Oak Hills residents are pursuing this designation in part to prevent damaging projects, such as the widening of Bethany Boulevard. To qualify for the National Register, properties must demonstrate integrity to the historic period in question. Individuals work with their state’s office, as established by the 1966 National Historic Preservation Act. In Oregon, the State Historic Preservation Office (SHPO) decides which properties and districts should be submitted to the National Park Service for consideration in the National Register of Historic Places. Another neighborhood, Bohmann Park in the Garden Home area, is not as far along in the preservation process as Oak Hills but could definitely earn Historic District status. Bohmann Park is the largest development of solely Rummer homes anywhere. However, neighbors in Bohmann Park are still building consensus around seeking historic preservation. Whether or not Bohmann Park and Oak Hills end up on the National Register of Historic Places, one thing’s certain: Robert Rummer’s influence isn’t going away any time soon. If you’d like to explore local Rummers, keep up with the Historic Preservation League of Oregon, which offers tours of Rummer homes periodically. Gary Higginbotham is the Marketing Manager for Houseplans.co, the online home of Alan Mascord Design Associates. Summer and early fall are the time for local homes tours, and this year is no different with two arriving this weekend and next, and more on the way. First up is this Saturday's Portland Modern Home Tour, a self-guided tour of five homes from 11AM-5PM on July 21. (Tickets available here.) 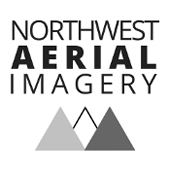 There have been several things called Portland Modern over the years, from the visual art group show held annually in the mid-2000s to the Portland Modern realty and architectual history site (a sponsor of this blog). This home tour is not affiliated with those, but is instead curated by Architectural Record magazine contributing editor Ingrid Spencer for Austin-based Modern Home Tours LLC. Portland Modern has lined up several of the more compelling contemporary single-family residential projects in the city from the past few years. One is the Fortin-Tingley residence, designed by the husband-wife team of sole practitioner Ellen Fortin and BOORA Architects' Michael Tingley. Fronting busy East Burnside, its focus is on the view overlooking Laurelhurst Park in the back of the house. It's also an interesting combination of high design and simple practicality. For example, the ground floor is divided up between Fortin's studio and a separate residential unit that can either be rented out or used as a kind of updated granny flat, or as a family room. Because of the views as well as the opportunity to rise above Burnside, the great room and outdoor deck are located the story-and-a-half tall second floor, with two single-story bedrooms on that level and then two more above. The great room offers a bounty of natural light through floor-to-ceiling glass, which makes an ideal showcase for the homeowners' collection of art (they're active supporters of the Portland Institute for Contemporary Art, and Michael even co-designed the organization's past temporary facilities for the Time-Based Art festival with BOORA). Also featured in the Portland Modern tour is the Interchange Residence, designed by William Kaven Architecture and located in North Portland's Overlook neighborhood. Its architecture, oriented around a courtyard with extensive use of masonry and glass, seems influenced by California, Southwest and Japanese versions of modernism, but the package works very well here too. Every space, be it the great room at the front of the house, a small office and library in the middle or the master bedroom in back, looks out at the lush courtyard through floor-to-ceiling glass. The owner also possesses a very impressive collection of both art and objects from around the world, including works by Matisse and Picasso as well as several Northwest artists and several ancient religious artifacts from Asia and elsewhere. Perhaps the most unique project on the Portland Modern tour is a boathouse off Marine Drive, designed by Emily Refi. "We started with a 60's boathouse with an open boat well (think of a U-shaped raft, with the boat parked in the curve of the U) and added a second story micro-living unit," Refi explained in an email. "Sounds simple enough, but it was sort of a feat of engineering to make the extra volume above work with the open boat well below. There was only one engineer in town that would touch it (Ken Safe with Miller Engineering). He designed a moment frame for the river-facing wall that was strong enough to keep the 'flaps' of the U together. That had to be brought in over the water via tug-crane. Dealing with the city was interesting, as they had just begun to regulate boathouses with the 2008 code; previously it had been sort of an anything-goes affair. So getting through permitting was a learning curve for me and for the city, as it was the first combination living unit/boathouse they had come through under the code. Another challenge was mitigating the noise from the airport – attention to skin details & insulation, triple paned windows – this really helped the shell become more energy efficient." "My client, Dennis, is a retired US Forest Service ranger and acted as general contractor and did about 80 percent of the work himself, mainly because he had more time on his hands than money," Refi adds. "He had some experience doing construction work on his cabin, maintaining the boat and old boathouse. The logistics of building on the water added some challenges. For instance, all the materials had to be carried or pushed in a hand cart down a steep ramp and dock - about 600 feet. Additional floatation was installed incrementally during construction to keep it afloat, and was installed by a diver. The steel was brought in by tug-crane. Then you can't exactly prop a ladder up against the walls. Dennis rigged up makeshift scaffolding that straddled the neighboring floats, and at times he simply put a ladder down to the riverbed. I came out about once a week during construction to walk through details and answer questions. In the end, he pulled off some pretty amazing details." A small house but a gem also recommended on the Portland Modern tour is the Harpoon House, which was previously featured on this blog as well as in a Dwell magazine feature by Amara Holstein. Owners Matt Kirkpatrick and Katherine Bovee found a small 50-by-50-foot lot in Southeast Portland's Buckman neighborhood, and Kirkpatrick, through his firm Design For Occupancy, created an ideally modern but woodsy-Oregon house to go there. "Kirkpatrick designed the house to draw upon the outdoor area rather than dominate it," Holstein writes. "Instead of a single-story home that spreads to the limit of the lot, the three-story house holds itself trimly in place. A basic box that’s as tall as it is wide (28 feet) and 16 feet long, the house consists of rooms stacked verti­cally: an unfinished basement on the bottom, a kitchen-living area and a bathroom in the middle, and a bedroom on top, with the stairwell hinged onto the front of the home. The only interior doors are those to the bathroom, basement, and root cellar, leaving the rest of the space open and unfettered." A key aesthetically with Harpoon House is the outdoor deck, with a partial lattice-like enclosure that creates a cool sculptural feel by completing yet partially taking away from the form of the box. Portland Modern includes not only Portland houses but one in suburban Milwaukie. Designed by Gary Hartil (who was recently featured in our "Architect's Questionnaire" series) of Orangewall Studios, this whole-house renovation "integrates a second story master suite addition, an exterior renovation, new roof massing, new decks, and landscaping," the tour website explains. "The existing shingle siding was retained, defining the character and form of the original cottage. New functions are articulated with an accent of horizontal tongue and groove cedar. A full seismic upgrade was also completed for the project." There are two more homes on the Portland Modern tour, but I'm choosing not to write about them because they are currently for sale. To do so would, at least for me, cross a line between editorial content and advertising. Meanwhile, besides Portland Modern there is also the third annual Heritage Home Tour, presented by the Architectural Heritage Center and scheduled for Saturday, July 28 from 10AM to 4PM. Although the tour includes historic Victorian and Queene Anne styles, among others, one of the houses, the Saul Zaik-designed Sam and Esther Fort House is an epitomy of midcentury modern residential architecture in Portland. Completed in 1962, wood and glass home is set into the landscape, designed to recede behind the trees and native plantings. The house is separated into three different pavilions that define the living and kitchen workspace, the children’s area, and adult area. Mosaik Design and Remodeling ;recently completed the kitchen renovation on the Fort home. Another home on the Heritage Home Tour should be familiar to anyone who has regularly crossed the Ross Island Bridge into the east side of Portland. A majestic Queen Anne‐style house in the Brooklyn neighborhood, the Johan and Dora Poulsen house dates to 1892 (the architect is unknown) and features a 50-foot turret with curved glass. There is also the H.W. and Leony Howard House, located in Eastmoreland and featuring a blend of Dutch design elements and Mediterranean Revival architecture. Its front door has a carved wood panel, and it also includes a massive brick chimney with multiple stacks, stepped gables, and a red tile roof. And the Heritage Home Tour also includes the Frank and Isabella Barnes House, a 1914 classical revival-style dwelling which played a role as a haunted house in Beverly Cleary's Ramona Quimby children's book series, andhas also been a location for the TV show Grimm. It includes a grand portico with ionic columns and ballustrade as well as interior rooms retaining the original wall coverings, including a leather wainscott in the dining room. Finally, there's the Julius and Delia Durkheimer House, located in Northwest Portland and dating to 1899 from a design by architect Rolph H. Miller. Another in the classical revival style, it includes pilasters at the corners and dentil friezes below the cornices. The encircling porch includes Tuscan columns and a balustrade balcony, as well as leaded glass windows. Most of these homes, be they modern or historic, are closed off to the public. This is a rare opportunity to see some of the best of both past and present residential design in the city.